“Why did you call the office landline?” She kicked off her heels. “You weren’t picking your mobile…” He straightened the penguin. “I was in an important meeting…!” Her bag was next. “It was a question of our son’s future.” He fiddled with the pen stand. “Put the blame on you.” He grinned. “I am glad you agree.” He smirked. “Are you calling me the fool?” She clenched her fists. Written for Friday Fictioneers – a story in 100 words or less. 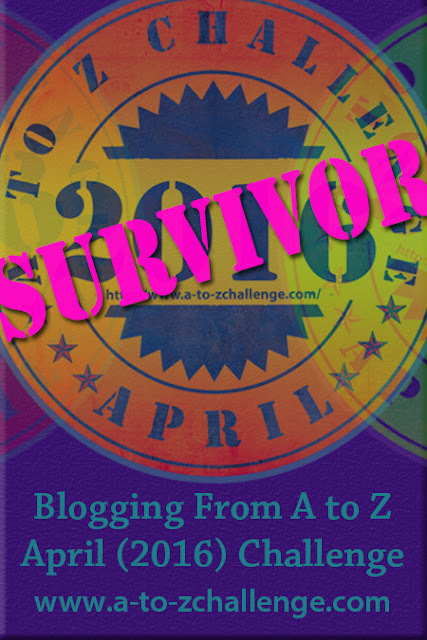 Thanks to Rochelle for hosting the challenge and Claire Sheldon for the photo prompt. To read the other stories inspired by this prompt click here. Thanks Neil, appreciate your comment. I agree – good point! I think it works both ways, but I liked the little bits with straightening the penguin and so on. Loved the first one as slyly you can feel the counter argument and reflective of guilt somewhere, love the way you express certain things without saying much…hmmmm keep it up …..both are good in their ways though….mastering the art of expressing…..
I’m with Neil, a little break from dialogue along the way helps the reader keep track of who is talking. Thanks Iain. I tend cut them out completely, will keep it in mind. I like the story; it’s inventive and well told. I agree with the other comments; the first version is the better. Using what you refer to as ‘dialogue tags’ doesn’t only help the reader to keep track of who’s speaking, it also, as Jyotsna points out, allows you to comment on what’s being said. With that in mind, I think you could have improved on both versions by using fewer, punchier tags. So, for example, keep “She clenched her fists”, which adds intensity to her words, but omit “Her bag was next”. When you only have 100 words, every single one of them must tell the story. You want to show that the man is an irritating person; do you need three actions to show that, or can you do it with just two? Well done, asking for constructive criticism! It’s far and away the best way to improve, and people are very shy about providing it. I prefer the first version. Well written, Dahlia! The consensus is the first is better and I agree. I also agree with Penny and Rochelle that a bit could have been chopped off without losing the feel of the piece. I like the first one! Well penned! Hi Dahlia. I always enjoy your stories, this one included. I liked both versions and think a version somewhere between the two would serve you best. Keep the beats like “kicked off her heels” that provide helpful direction or characterization like “He fiddled with the pen stand,” which implied he was nervous. Delete those that don’t add to the story or add very little like “Her bag was next.” In other words, when you edit, apply the same principle to the beats as you do to any narrative. FOR ME, if the speakers are saying something substantive, essential to the story–and why would they speak otherwise?–a beat every three or four lines of dialog is sufficient. Wonderful insights as always, both in the meat of the story and in your writing style. Thanks for a peep in to the writing process. I am so untidy ….. I like the second one – it is so crisply written. Thanks a lot YS…I dont think you are untidy at all. I have written a few FF prompts using mostly dialogue, but I think it needs to be broken up now and then for the sake of clarity. When I go back and read it over, if I’m confused, then my readers will be, too. Yes that happens with me too and quite often as I like to write only dialogue sp in FF. Thanks! A couple of dialogue tags would have been enough in this short piece, but I think you could have tightened it up more by losing a couple of exchanges. Keep him fiddling with her desk, though, or it wouldn’t connect with the photo. On asking for and giving constructive criticism: I am certainly not an experienced, authoritative writer, and so I hesitate to make suggestions about something I couldn’t have written nearly so well myself. I love all the supportive, encouraging comments, but I would also like any ideas you all may have on how to improve my style. We are a bit shy about both asking and receiving, I think. ‘I love you’, He winked at her, unleashing his smile guaranteed to make her knees week. ‘I’ll kill you’, She shot daggers with her eyes, but with a hint of a blush on her cheeks. It gives a complete different vibe to the overall scene. So my vote is for descriptive actions along with dialogues. I am rather inclined towards the second – I will see how I can trim dialogue and add tags. Thank you! As to the dialogue tags the first version works fairly well but the ‘minus version would have me going back to figure out who was saying what. This is a really tense scene. Explosion imminent. I tend to agree with Neil on this one. As always, thank you for reading, and comment if you see fit. For some reason I am unable to comment on your blog. It asks me to login to comment and refuses to accept any of my inputs as valid. So sorry. I am new to wordpress. Will seek guidance to rectify this. However, thanks for your efforts. I liked the first one. There aren’t too many breaks in the dialogue tags and it only helps create visual in the mind of the reader so no worries. As always you delight our hearts with another tale of fresh characters and expressions.